Unfortunately Korea has a very picky hiring system. They enjoy the privilege (and can afford to with how many people are looking into teaching ESL here) of being selective. 99% of the time, Korean schools do not accept non-native English speakers to be part of their English program. The only exception that I know of would be teachers from South Africa who would have grown up learning both Afrikaans and English side by side. However, each school director has the ability to pick and choose whom they want. So if you speak impeccable English in your phone interview, you may just be that special someone! Many Korean employers are also extremely fickle about physical looks. You may have a resume and teaching experience that gives you five gold stars, but if your looks aren’t what they want, they’ll willingly throw you to the curb. It’s super sad really, I wish there wasn’t as much discrimination. I wrote a post about the ESL process in detail here. But to summarize, two popular recruiting agencies for Korea are EPIK and Footprints. Both have excellent reputations, and you’ll most likely be placed in a job with either. The only downside to recruiting agencies is that you’ll most likely not be able to hand-pick the area you would like to teach in. You may be placed right in the center of Seoul, or way down south in a rural town of a couple thousand people. You just never know! As far as organizations to steer clear from, you can always check out the forums at Dave’s ESL Cafe. Teachers post on there regularly, and you can find up-to-date information on any particular school or business that may be offering you a job. You never know, browsing around may save you a lot of time and hassle in the end. Yes! First of all I’m super flattered you’d come to me for advice. I’m seriously just an average girl who (as of a year ago) was lucky enough to have 10 visitors a day! I have worked so hard to get to where I am right now, and I would LOVE to help you anyway I can, but you definitely need to know I’m not an expert! 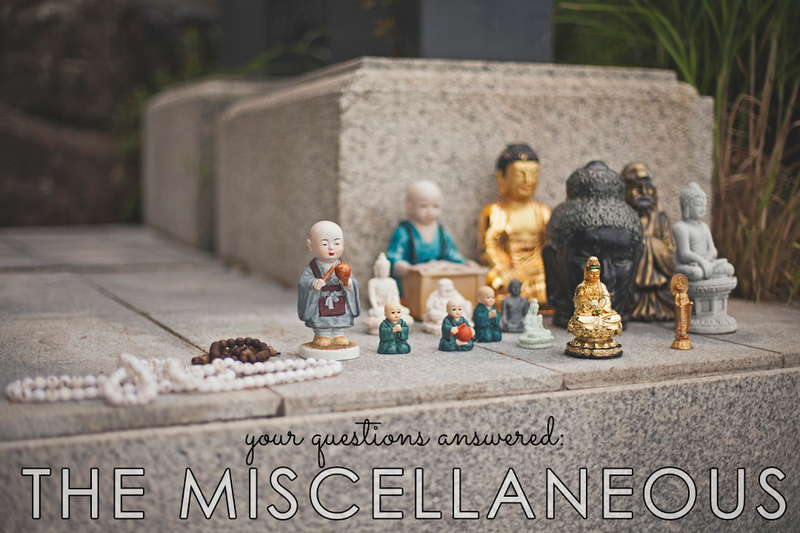 I’ve only been blogging for about two years now, and I have lots to learn myself! If you’re new here you can check out my Blogging 101 series. I’ve covered everything from sponsorships, WP plug-ins, and time management to Pinterest optimization! But to answer your question, the number one thing I would say to focus on is your readers. Respond to comments and show them you care! Stop by their pages and see what they are about! Listen to your readers and learn what is their favorite posts to read. Above all, continue to always be yourself! My father has been enlisted since before I was born. I grew up with such pride in my father, after all, he was a soldier! There is nothing cooler than having a b.a. dad. I also respected him so much from an early age (obviously still do). There were lots of times though when it was really hard to grow up as a child with a father in the military. After 9/11 (well actually a little bit before then too) he seemed to be deployed quite a bit. He would be deployed for 6 months at a time, and spent quite a few weeks away for training as well. As a little girl, this was so hard for me. I hated the fact that the months would go by and I would start to forget what my dad looked like (yeah, no video chats back then). Also, communication was pretty dodgy, so I would be lucky if I got to talk on the phone with him for more than 2 minutes every week. Things are so much better communication-wise now days. You have email, Skype, FaceTime, phone calls, etc, etc! That fact alone would make it yards easier! Overall, having a father in the military has given me the upmost respect for him, veterans, military families, and those enlisted. It was hard being apart from him for so long sometimes, but it never damaged our relationship! We definitely plan on having kids one day! I used to want four, but the old I get that number dwindles. Im down to two, or three tops. We gave ourselves the ‘five year plan’ to settle down, but now that we’re into our fourth year of marriage, I think we’re going to ask for an extension. We love traveling, love experiencing the world, and love learning new things! We are completely open to raising a family overseas, or traveling a lot if our home base is in the US. Its important to both Derik and I to raise our children with a world awareness. There are somethings that textbooks and lesson plans can’t teach you. There are some things you just have to experience for yourself, and discovering world awareness is one of them! We want our children to know how privileged and blessed they are, and raise them to express compassion and love toward everyone. I was a young 21 year old, and my husband was 24 (well, we got married on his birthday, so 23-24). 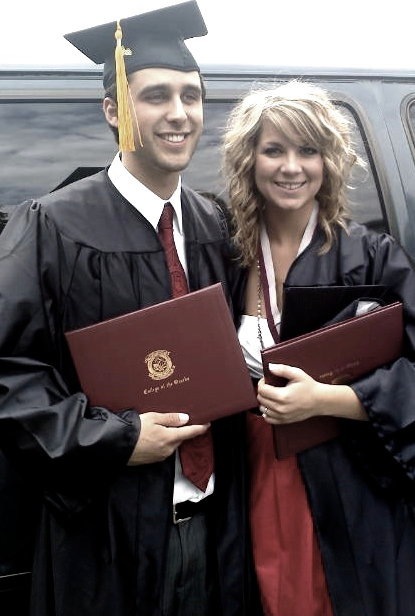 We had just graduated college and were ready for the next step! How did we know we were meant for each other? My husband and I had been friends in college for four years before we got married. There wasn’t a romantic interest for 3 1/2 of those four years (he dated people, I dated people), so we really got to know each other without the whole ‘trying to impress’ thing. Our last semester of school, something clicked and he kissed me one night. And so began our love story! After getting engaged in April and graduating college in May, it only made sense to get married next. Since we knew each other so well, an extended engagement wasn’t necessary. 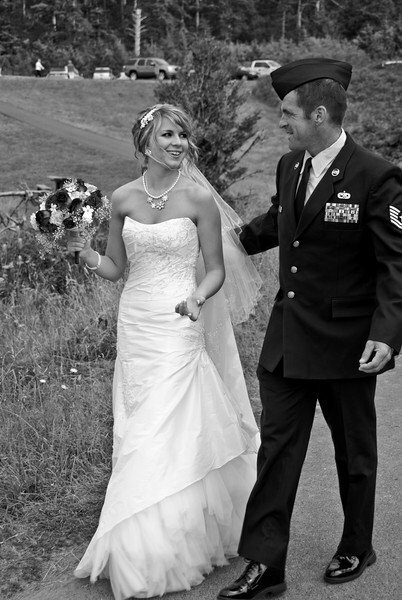 We had a small, intimate wedding along the Oregon coast in August of 2010. We both love the west coast. I’m still in love with the Pacific NW, but my husband has lived there most of his life, and is ready for a change (basically he wants a weather forecast other than rain everyday). We have our eye on California. As far as what I want to do? I want to ultimately have a job that helps and encourages people. I have a degree in Sociology, and I’m super passionate about life! To do anything with my degree I’ll have to go back to school, but I’d love to be a family/child counselor. Right out of college, Derik and I secured full time jobs that had great benefits. We both ended up working 50+ hours a week, and were lucky if we got to see each other for more than two hours each night before we went to bed exhausted. This pattern continued for a year until we both woke up, looked at each other and said, “Is this what we want to do the rest of our lives?” The answer was clear as crystal to both of us: “No, definitely no.” We then packed our bags without hesitation and headed out on our ultimate adventure.